Social media sites allow users to find and visit your website more easily. Build sustainable relationships with your clients and increase potential for them to click back into your site. Gain attention through social media to increase the potential for others to link and reference you. Use social media to build relationships with the influencers of your industry. With a blog, search engine spiders see that your site is active and frequently updated. Blogs also provide valuable content to be shared on Facebook, Twitter, etc. 2. Use Google Analytics and Google Webmaster Tools. Use these free tools to find out where your traffic is coming from, as well as to help you understand user behaviour. 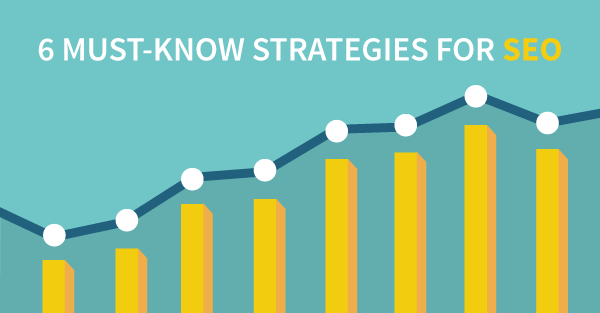 Harness this knowledge to optimize your site and create a great user experience. Happy website visitors = more shares, fewer bounce rates, and a happier webmaster (that’s you!). 3. Avoid “black-hat” SEO methods at all costs. “Black-hat” SEO refers to methods that are disapproved of by Google, such as buying text-link ads or buying links on blog networks. Stay away from the seedy path when developing your SEO strategy. In the short run, you might see a boost in rankings, but ultimately, black-hat techniques can have disastrous long term results, including loss of credibility and even penalties from Google that will haunt you for years. Instead of trying to scam the system, focus on providing quality content. 4. Do a tech check. Broken links? Get them fixed. Both site users and search engine spiders don’t appreciate a glitchy site. Check your website from a user’s perspective often to make sure everything is in tip top shape. 5. Link-building is great. Relationship building? Even better. The key to SEO success these days is to build lasting relationships with industry influencers. Build relationships and find out how you can genuinely help each other. For example, honest recommendations of your services from a key industry player is worth much more than having multiple back links on random sites. 6. Are You Mobile Ready? By now, you must have heard the news about Google’s new search algorithms. In sum: if you’re not mobile ready, your rankings will be penalized. If your website fails to pass Google’s mobile site test, you will not be prioritized on searches performed on mobile devices. Be sure to create either a separate mobile site or use use a responsive layout to optimize your site for mobile devices. As search engines continue to tweak their ranking algorithms, remember to keep up with SEO trends and news. However, having a high quality site that offers relevant information is a strategy that can never go wrong.